When should you change up your workout program? Figuring out if you should and when to change workout program can be difficult for some. Typically, most people tend to do the same workouts or exercises over and over again, which can hinder progress toward accomplishing fitness goals and better health. In this aspect of life, change can be good. However, this change needs to take place at the right time – not too frequently and not too far off. In this article, I will outline the importance of changing workout routine and how to know when you need to change it. If your workouts and progress have plateaued, then it’s time to make some changes. There’s no point in continuing the same exact routine because your body has already conquered that challenge. If it’s not producing the results you want, or moving you closer to your fitness goals, then it’s time to move on. One great way to monitor your progress is by using a fitness tracker like GrowBIG. This app allows users to track every little exercise detail in the gym like: weight, sets, reps, workouts, body measurements, rest time and much more. You can view your workout data over a period of time to see if it’s moving in the right direction or if it has basically flat lined. Your data will be displayed on beautiful graphs and charts, which makes it easy to evaluate your workout program. When your goals change, so should your workout program. For example, if your goal was to lose weight and then you switch to building strength, your workout program will need to be adjusted in order to meet the new goal. Injuries are a part of life. Unfortunately, they can also impede your efforts in the gym. Depending on the severity of an injury, you might have to take time off from working out. If it’s a minor injury, then you might need to make adjustments like implementing exercises that won’t aggravate the injury. 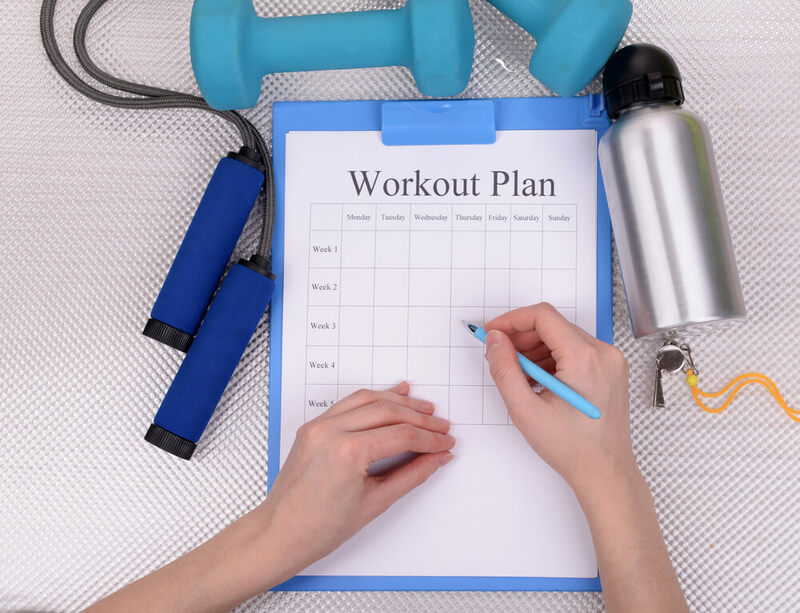 If you have a drastic change in your schedule and it cuts down on your allotted gym time or moves your scheduled workouts to a different time of the day, then you might need to make some changes to your overall program. When our gym sessions are shorter, it obviously impacts how much we can get done. This would require a shuffling of workouts and the duration of these workouts. If you end up going from working out in the evenings to rushing to the gym before work, that might also require a change in some of the exercises due to having less time to consume necessary foods or supplements beforehand and having less energy. Boredom can derail your workout program. It can make you feel unmotivated to even work out. If that’s the case, try to throw in some exercises that challenge you or add a cardio workout that excites you like swimming, hiking or rock climbing. Keeping things challenging and exciting, will keep you coming back for more and bring you closer to your goals. Adhering to the principle of progressive overload is essential if you are to make long-term progress. How can a fitness tracker help you reach your goals? How can an app help you in the gym?